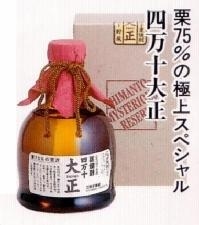 すーろぐ 2012 The king of "Chestnut-Shochu"
What kind of taste is it? As for the shochu of a chestnut…I heard it for the first time. The exquisite beauty that is brought on by the long history…I want to try to taste it by all means.